Professionally installed automotive window tint blocks infrared rays (IR rays) which cause heat and protect your skin from harmful UVA and UVB rays that are known to generate cancer, melanoma, cataracts and eye degenerative diseases, while also helping prevent the interior of your vehicle from fading caused from over exposure to the sun. Sun Stoppers only utilizes technologically advanced window tinting and paint protection films. Professionally installed automotive window tint blocks infrared rays (IR rays) which cause heat. Automotive window tint also reduces heat in your vehicle and protects your skin from dangerous UVA and UVB rays that are known to generate cancer, melanoma, cataracts and eye degenerative diseases. Having the windows in your car, truck or van tinted improves comfort and aesthetic. It also protects the interior fabrics, leathers and dashboards. Our dedication to customer satisfaction and our expert window tint installation ensures our customers are always pleased with their finished product. Protect not only the investment you made when you purchased your vehicle, but the family and friends who are riding with you! Why should I tint my windows? XPEL promises each one of their window tinting and paint protection products will protect the investment made in your vehicle. They ensure your automotive window tinting and paint protection products are only installed by highly qualified and trained window tinting experts, like Sun Stoppers, who have extensive experience installing window tint and paint protection solutions. Automotive window tint provides protection for the interior components of your vehicle such as the dashboard, leather, fabrics and plastics that can suffer extreme damage from the sun if left unprotected. Not only does tinting the windows in your car, truck or van prevent your interior from damaging it also protects your skin from harmful UVA and UVB rays that can be blocked by window tint. Automotive window tint allows you to customize the look and feel of your ride while providing you with the privacy you need. Our window tint films won’t interfere with electronics, cell phones, radio signals or GPS systems. Installation of automotive window tint is provided by one of Sun Stoppers professionally trained and experienced window tint installers. Upgrade the overall aesthetic of your ride, experience the luxury of automotive window tint while receiving all the protective benefits. Choose from any of our high quality window tint films PRIME XR, PRIME CS, PRIME HP and PRIME-XR-PLUS. Click to get a free Automotive Window Tinting Quote! Guaranteed for the life of the car. 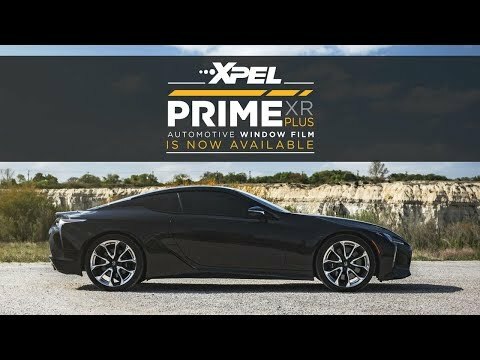 XPEL’s PRIME XR window tint blocks heat while making your ride look smooth and sleek when cruising down the street. PRIME XR’s nano-ceramic particle formulation blocks 99% of harmful UVA and UVB rays. This non-metallic film provides protection, comfort and style. XPEL PRIME XR window tint contains ceramic particles that aid in filtering infrared radiation from inside your vehicle. Advanced technology blocks a significant amount of heat that gets trapped in your vehicle, this keeps your car cool and improves fuel efficiency. The strategically developed ceramic technology in XPEL PRIME XR provides the highest performance and benefits without sacrificing clarity of vision and color distortion. XPEL PRIME XR is a nonmetallic film made from advanced nano-ceramic particle technology. This means the automotive window tint does not interfere with electronics, radios, cellular devices, Bluetooth signals or GPS systems. 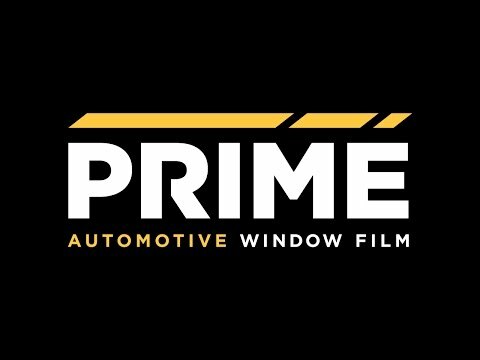 PRIME CS window tint blocks 99% of UVA and UVB rays from the sun that can be harmful to your skin and cause costly damage to the interior of your car, truck or van. This specialized window tint provides a lifetime of color stable and glare blocking performance. XPEL™ PRIME CS window tinting film will never fade, crack, peel or turn purple like metalized films. With a natural charcoal tone, your vehicle can pop and look refreshed with XPEL PRIME CS window tint. Glare caused by infrared and UV rays while driving is significantly decreased, there is an enhancement in visibility and a reduction on unwanted eye strain. XPEL™ PRIME CS window tinting film significantly reduces heat, keeping your vehicle comfortable and improving fuel efficiency. XPEL™ PRIME XR is a nonmetallic film made from advanced nano-ceramic particle technology. This means the automotive window tint does not interfere with electronics, radios, cellular devices, Bluetooth signals or GPS systems. Create a look and feel that matches your personal style and the professionally trained and experienced window tint installers at Sun Stoppers will have you riding in style. Designed with first class heat rejection and hybrid technology, XPEL™ PRIME XP protects the people who are riding with you while ensuring the convenience of comfort. XPEL™ PRIME HP offers a higher heat rejection compared to traditional dyed films with a slightly more reflective finish that are on the market. XPEL™ PRIME HP provides SPF 1,000 protection and blocks over 99% of harmful UVA and UVB rays that can lead to skin cancer, premature aging and skin cell damage. XPEL™ PRIME-XR-PLUS is the ultimate top of the line window tint solution for heat reduction and for blocking harmful UVA and UVB rays. Increase the appeal of your vehicle, ride in style and benefit from the vast protective features provided by PRIME-XR-PLUS. XPEL™ PRIME-XR-PLUS window tint contains ceramic particles that aid in filtering infrared radiation from inside your vehicle. The strategically developed ceramic technology in XPEL™ PRIME-XR-PLUS provides the highest performance and benefits without sacrificing clarity of vision and color distortion. XPEL™ PRIME-XR-PLUS is a nonmetallic film made from advanced nano-ceramic particle technology. This means the automotive window tint does not interfere with electronics, radios, cellular devices, Bluetooth signals or GPS systems.